Gail Fernhill, newly appointed of principal of Queen Anne’s Girls’ School in Dunedin, New Zealand is haunted by her past but befriends new property manager Neil Goodall. Neil pierces her reserve to support and help her when he discovers that as a teenager, she killed her abusive father in self-defence. However, the case is reopened after the discovery of her father’s rifle. Inspector Peter Carrington attempts, by fair means or foul, to build up a murder case against Gail and directs Tania Brogan, an undercover police officer employed by the school as a teacher, to find evidence. However, after an accident involving a bus load of pupils on a ski trip Tania switches her allegiance to help Gail but unwittingly plays into Carrington’s hand. Intertwining with Gail and Neil’s growing love and the conflicts of school life, the problems deepen when John McKendrick arrives at school and attempts to abduct his daughter Penny. Gail and Neil intervene but Gail is wounded and, with Neil and Penny, abducted. Is Gail’s successful life as a principal about to be cut short by her past? And what of her abduction? Is Neil’s love enough to help the blemished jewel through these trying times? 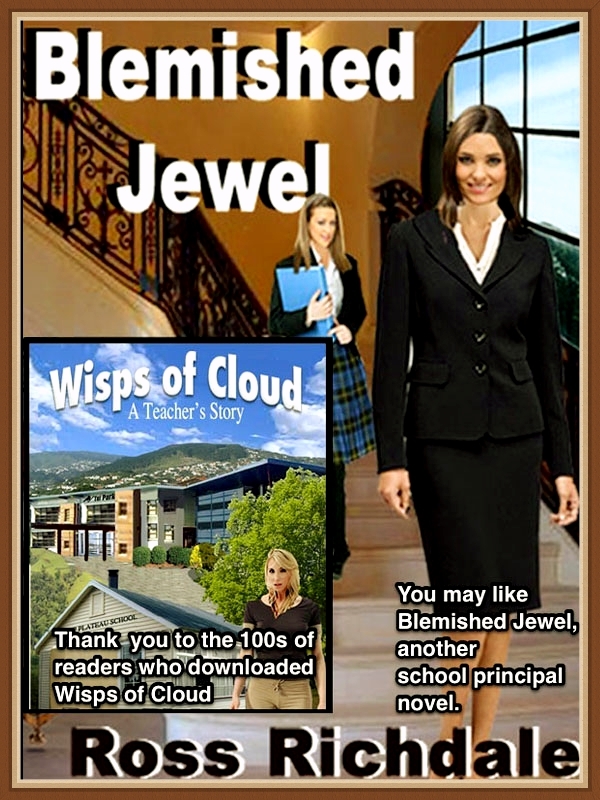 Karla Spicer finds her position as Senior Teacher at Tui Park Primary School in Wellington, New Zealand’s capital, is hindered by the Associate Principal Val Cook, who resents her progressive ideas. Principal Murray Norwood, is an easy-going man drifting towards retirement who avoids controversy whenever possible. However, through a conscientious attitude and by supporting junior staff and parents Karla becomes a popular staff member. Karla becomes romantically involved with Ryan Purdon, the school’s property manager and when he tells her about problems back at Top Plateau, a tiny school near his family farm where he grew up. After being approached by the Ministry of Education, Karla agrees to take the acting principal’s position there and Ryan goes with her to stay in his farmhouse. Life in a remote area is different than expected with problems at the school and also on Ryan’s family farm where he has problems with his sister, step-father and mother who are all trying to sell the property divided between them by his late father’s estate. Tensions arise in the district with a marijuana plantation discovered near the farm and a local bikie gang being suspected as the growers. However, nothing is as it first seems, potential enemies become friends and the trusted, untrustworthy. Back in Tui Park, teacher Chrissy Ancell is attacked and turns to Karla for help. As Chrissy’s attacker is a respected person, their efforts to get justice seem to be thwarted. It appears that the problems are intertwined with Karla being the kingpin and more than just a teacher striving to do the best for the children under her care.